Plunging into the sea can feel like diving into the world’s largest private swimming pool. Relax and chill out as you make your way on crystal clear waters through breathtaking limestone cliffs. Enjoy a relaxing day on a catamaran sailing amidst the Andaman’s breathtaking natural treasures. 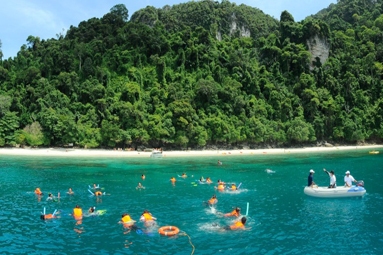 After registration and a light buffet breakfast you will set sail for Ao Lana, Phi Phi Don, for snorkeling or swimming. Explore the shallow water coral reefs, teeming with marine life. 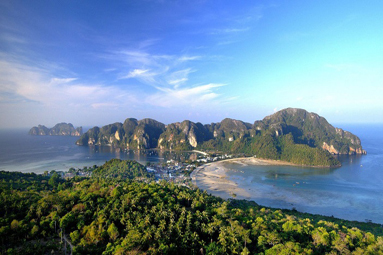 Next you’ll cruise to Camel Rock, Ao Nui and Ao Loh Dalum then continue to Phi Phi Leh. 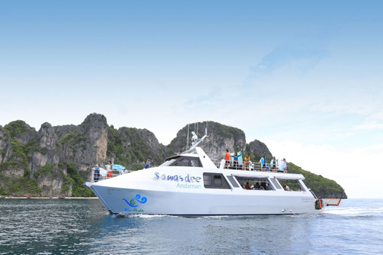 Stop in front of the famous Maya Bay, where you’ll have lunch onboard while taking in the beautiful scenery. 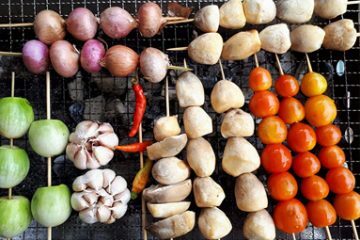 After lunch, spend some time swimming and snorkeling or just relaxing by the beach at Maya Noi Bay. Set sail to see Phi Phi Leh at Loh Sama Bay, Ao Pileh and Viking Cave, and then travel onwards to Ao Ton Sai Beach. 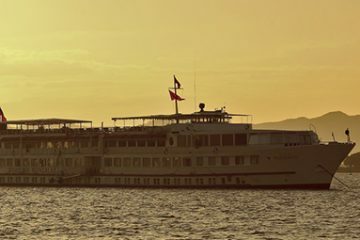 Disembark and explore Ao Loh Dalum or swim and relax on the beach.